(LANGUAGE WARNING) The Left loves to virtue signal about its compassion and respect for diversity, yet it includes many of the most vile and aggressive human beings in Western societies. I respond to some of the hate mail I get on social media — messages that gives a clear insight into the viciousness of so many on the Left. Frank Lilly never mentioned fear mongering. And you have said the Rebel would die in the past. So i will take your revised opinion and say FAIR ENOUGH! Umm, hey Frank? I think you read the table wrong, as Alexa shows Rebel went from about 30k unique views to about 68k unique views. I can’t believe it, they put it upside down just so’s you Lefty’s that suffer from backwards-brain would get it right, and you STILL got it wrong!! On youtube Rebel went from about 853k, down to about 848k and back up to it’s current 861k. So in fact, the numbers took a dip but are above their pre-crisis levels, and rising. Man, suffering from backwards-brain must be a pain eh? How do you live like that? I’d kill myself, but I bet you can’t even do that – you’d flush the sleeping pills down the toilet instead of swallowing them. You’d take the knife OUT instead of sticking it IN! Man, how frustrating is that?!?!?! So Australia has as many crazies as Canada does. What’s new? Keep your chin up Mark as you don’t want to stoop the their level of incoherent physco babble. They can’t handle the truth. Don’t you worry Mark, you will outlive all the haters. Their own, inner created misery, will cause them a long suffering and painful demise and they will die in a whimper. From some of the things they vomit out, it’s easy to determine that they reside in a protective bubble of lies. Their weak, low intelligence quotient, infantile brains are unprepared, unconditioned and too sick to comprehend what the truth is. Their primary focus is to deny all reality and create their own world with their fake narrative. It’s when elements of the truth seep into their convoluted world, they lose control and violence ensues. Both Brian and Jay were quite clear on why they left. Your world of denial must be wonderful place for you. I never said that The Rebel will die, but the traffic and popularity has tanked since August. Ezra can still keep things going though as long as people like you keep giving him money, but The Rebel is no longer making an impact. Frank how about you PROVE Kapernick right with actual facts? Cops who have killed for no reason have been charged with capital murder and Treyvon was a thug who attacked someone who hit back. Frank Candaland fear mongers and puts people down all the time. Frank Hohimer none of them left for that reason moron. Frank Hohimer so when is the Rebel gonna die then? If the Rebel is dying then Canadalame is already dead. And please explain to me what magical number is needed for viability?? Being lower does not mean they are dying. Canadaland is way lower, does not mean they are tanking. Your assigning your own conclusions. All those mean tweets just because someone doesn’t agree with their propaganda. The Left is evil. 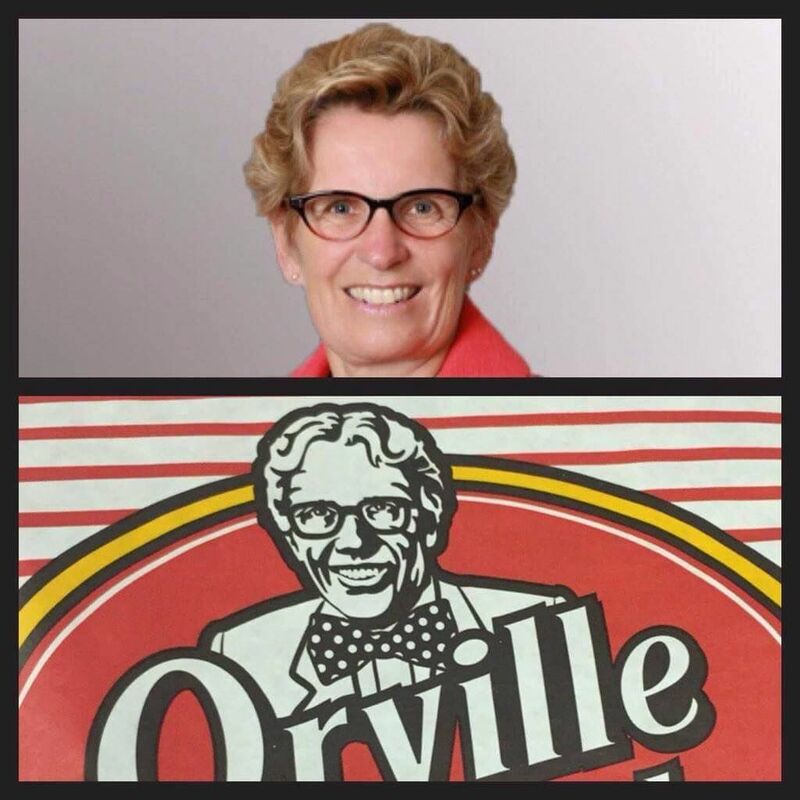 Ashley left Candyland to write for Orville Reddenbocker’s socialist twin at Queens Park. I have proven it repeatedly with the sources that rank internet sites per their traffic and popularity. If you need me to do again, let me know since you seem to be living in denial. Yes, Ashley left Canadaland for another job. She didn’t quit for the same reasons that Brian Lilly, Jay Fayza and others have left this place of fear mongering and propaganda. You can’t even equate things properly. Do you even have a high school diploma? Arlene May, good post; laughter is one tool to counter these cry-bullies. When you stop and think about it, watching and listening to ‘adults’ carry on like this is actually quite hilarious to anyone who is a thinking person. It doesn’t say anything about the target and everything about the one delivering such immature and pointless insults. Maybe the response should be laughter. Taking them seriously and trying to engage in dialogue with them is pointless but I actually found several of the comments to Mr. Latham quite hilarious and enjoyed his measured responses. I wonder what the reaction would be if, when they began chanting, banging pots, sputtering, and waving arms around, everyone began to laugh….it is really quite amusing to watch though there is bit of embarrassment for adults behaving like temper tantrum throwing children. Its nice to see that university education gives these commentators the ability to write. Too bad they were never taught critical thinking. The Rebel will always have strong support from the people and the left can do nothing about it. Frank Hohimer you always miss the point, your comment about Kapernick applies to Latham as well. My comments are not contradictory like yours, try reading them. And unlike the left i value free speech,i will never silence Kapernick , the left silences people all the time. Frank Hohimer you have not proven the Rebel is tanking, you have claimed it many times and it never has, so you prove your comment first please. HEY LOOK, someone left Canadalame LMAO! Frank Hohimer i have never said Kapernick cannot protest moron. When have i ever said that? He can do it on his own time and he can try looking at actual facts when he forms an opinion. If he cares about blacks he should protest Chicago and quit acting like a victim and disrespecting the flag is not protest , it is ignorance. And the article prove the double standard for left wing media personalities who do not get fired for such things. PROVE ME WRONG! Prove anything in that article wrong. I especially want you to prove that The Rebel hasn’t been tanking since August, by coming up with numbers to negate every traffic ranking source on the internet. I will wait. I suspect you are going to be just like Tammie here. Dodge, deflect and disappear. LOL. You do realize your position as kooky alt-right, makes you not respect Colin for standing up for what he believes in. Why are you picking and choosing who matters? Frank still believes crap from the liberal media LMAO! The left is so full of hate filled bigots and fascists who act childish when the truth does not suit them. Frank Hohimer you defend Kapernick then crap on someone else trying to stand for something. Why is Mark so bad , but Colin so good? Oh right you lefties love to pick and choose who matters. Very interesting article from Australia. The Rebel’s tanking viewership is also mentioned, so Mark Latham has done nothing to help increase viewership since losing Faith and Gavin. The Canadian Website That Mark Latham Calls Home. Mark, the leftist loons get triggered very easily, and, can’t get to their keyboards and smartphones quick enough….after posting their death fantasies for you, they look for their next target. Anonymous hatred is all the rage for these pathetic people. Boy, the LGBTQ2 mafia are picking from the bottom of the barrel promoting their “love is love” narrative. How about explaining why you have been fired so many times? The regressive left are 21st century fascists! And they prove it every day by their anti-societal actions!